This articulate and authoritative survey of both the popular and academic trends in anthropology demonstrates the broad relevance of anthropological knowledge and argues for a more inclusive conception of the discipline that engages the public imagination. Jeremy MacClancy is professor in social anthropology at Oxford Brookes University, UK, and director of the university’s Anthropology Centre for Conservation, Environment and Development (ACCEnD). His research has included major studies of the cultural dimensions of nationalism in the Pacific islands of Vanuatu, and a prize-winning analysis of the politicized development of a Basque ‘cuisine’ in northern Spain. 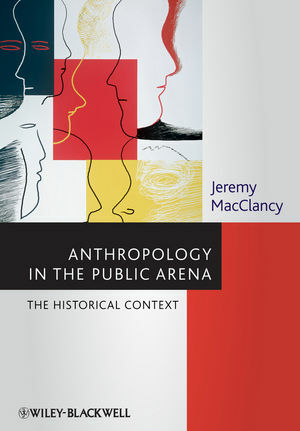 Prof MacClancy is author and editor of books including Consuming Culture (1992), Popularizing Anthropology (1996), Exotic No More: Anthropology on the Front Lines (2002), and Expressing Identities in the Basque Arena (2007).